Home > Trailers > SNK Heroines Tag Team Frenzy really turns the flesh up to 11, huh? SNK Heroines Tag Team Frenzy really turns the flesh up to 11, huh? This news is a couple of days old now, but I missed that there was a new trailer unveiled for the upcoming all-girl brawler SNK Heroines Tag Team Frenzy at the Evo fighting game mega-event, as well as a new playable character. 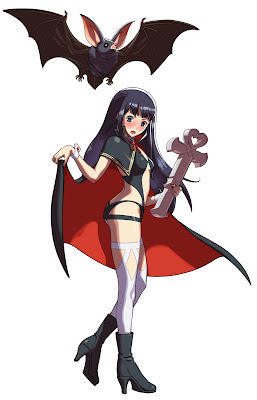 SNK Heroines exists purely for fanservice. In brings together girls from the various SNK fighting game franchises, and as heated as the competition on the field of battle will be (and it will surely be heated, because SNK knows how to make a good fighter), the real contest seems to be between the girls to see who can end up wearing the smallest bikini or lingerie outfit. Not that we're complaining, we're just more and more impressed that Nintendo actually wanted to be associated with this game to the point that it made it a big part of its first Nintendo Direct for the year. Anyway, Athena in swimwear is something that can't be beat, so enjoy the trailer! The publisher out west will be NISA, and the company has also taken the opportunity to unveil a new character for the roster, Nakoruru of Samurai Shodown fame. 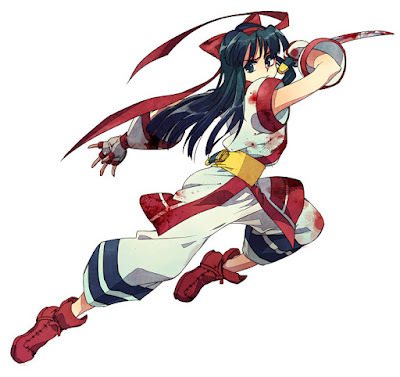 And here she is in SNK Heroines. Mabye it got hot out? Actually, that's probably what this is all about. Summer in Japan is brutal with the humidity and if I was asked to do anything more than a slow shuffle, much less fight, in Japan in summer, I would be stripping myself down to a pair of Speedos too. Yes I'm sure that's the narrative context we'll be given. Very realistic!